The EB-5 program is a two-step process for immigrant investors seeking lawful permanent resident (green card) status in the United States. 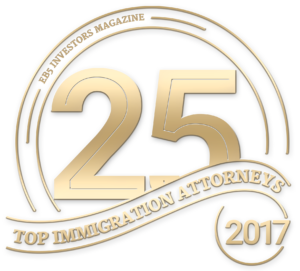 The initial I-526 petition allows residence on a 2-year conditional basis, and the subsequent I-829 petition is required for United States Citizenship and Immigration Services (USCIS) to award unconditional (permanent) lawful residence in the US. During the initial I-526 petition stage, the investors, Regional Centers, and other individuals associated with the EB-5 investment project (and their counsel) work together to present a credible plan for an EB-5-compliant investment project with sufficient job creation to support conditional green card approvals for foreign investors. At the I-829 stage, the parties must demonstrate to USCIS that the plan has come to fruition and the jobs have been created (or will be created within a reasonable time), such that the foreign investors are eligible to remove the conditions on their residence and obtain permanent green cards. An approved I-829 for each investor is critical to ensuring that an investor can maintain US immigration status without interruption, and that an investment project can sustain the capital needed to fulfill its business plan. A denial at the I-829 stage of the process means a potential loss of everything the parties to an EB-5 investment have worked for. An experienced attorney with a solid track record of filing I-829 petitions is essential to success at the I-829 stage. 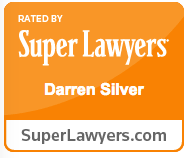 At Darren Silver & Associates, we have successfully prepared and filed hundreds of I-829 petitions in connection with some of the largest EB-5 projects in the US. We have the resources to assist both individual investors and Regional Centers looking to succeed in the EB-5 process. Whether you are a Regional Center that is new to EB-5, or an experienced Regional Center with an array of EB-5 projects to offer, we can help provide guidance on structuring your I-829 documentation to ensure continuing compliance with USCIS’s evolving EB-5 requirements. Demonstrating that your EB-5 investors have sustained their investment and that adequate job creation resulted from their investments is critically important—our firm can help you accurately capture, track, and present this crucial information. From template creation to Request for Evidence responses and project/case monitoring, we can help you understand and adapt to legal requirements and implement systems to protect your investors. There are many advantages to retaining your own independent law firm for an I-829 petition. Whether you lacked legal counsel at the I-526 stage or were unsatisfied with prior representation, we’re here to help. Our firm can review project updates and advise you of potential legal issues, prepare an I-829 petition that satisfies USCIS’s requirements, and monitor the status of your case and important expiration dates to ensure your continued legal status and ability to work and travel while the I-829 petition is pending.